OutdoorZ.Life October 19, 2018 December 2, 2018 No Comments on Species conservation: Is there a choice? Charlotte Dawe, Conservation and Policy Campaigner for The Wilderness Committee, wrote an October 19, 2018 article for the Times Colonist about conservation and species prioritization. She starts the article by saying that “a few conservationists have suggested we must let some species die for others to survive. 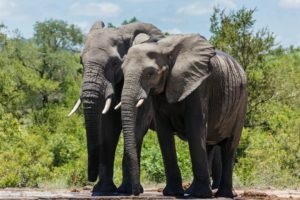 But that’s not conservation, that’s sacrifice.” She mentions that conservation models that suggest that the extinction of some species are necessary to save others are called “Noah’s Ark” conservation models. Click here to read the entire article. I found this article to be thought provoking and interesting. Part of the problem is that many of our decision making organizations mostly follow short-term money. “We the people” (pun intended) have let this happen. We need to assign value, cultural and financial, to our limited natural resources and we need to ensure that this value has a seat at the table during the decision making process. For clarity, Charlotte didn’t come up with the name “Noah’s Ark” to assign to these conservation models, others did. I would suggest that this name doesn’t fit. According to the Genesis account, the ark was designed to save a small group of people and ALL species of animals and creatures (the movie Evan Almighty seems to have gotten that part correct). So, as I read it, the real “Noah’s Ark” model would be for good people to attempt to save all species. Can you imagine Noah guarding the entrance to the ark and turning away the Tasmanian Tiger? We do have to accept the fact that humans are a part of ecosystems and have the ability to impact our environment, both positively and negatively. Let’s look to the beaver for a minute. Beavers impact ecosystems. The ponds that they create help other species (Moose and fish for example), but can also do harm (tree damage and flooding). Humans, who possess a greater ability for strategic thinking and have the potential to impact ecosystems far beyond a beaver, have a responsibility to manage the impact we have on the environment. I like to refer to this responsibility as environmental stewardship. It is a mistake to deny the fact that ecosystems can and do include humans and that humans, like animals, can positively or negatively impact the environment. It is an equal mistake to deny the unique human responsibility for stewardship. Charlotte suggests that “accepting extinction lowers the standard of conservation goals and what conservation really means.” I agree.